Who could have EVER thought that we would be the family writing her story on the blog for her journey home? Only God. God is so funny- I can just picture Him laughing as I would write/pray/think these things. The amazing way that Brooke came to be a part of our family is nothing short of miraculous- and every.single.thing was God's confirmation over and over again that she was indeed my parents' daughter; my precious sister. 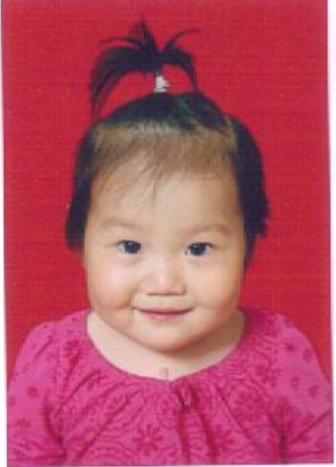 Now, I've probably been begging asking my parents to adopt another baby since the day we stepped of the plane from China following Erica's adoption. I watched waiting child lists like nobody's business, nonchalantly asking my parents which special needs they would consider, emailing pictures of the little precious darlings I would find (always to dad…he's the softie), and pointing out EVERY adoption blog I could find to them...you know, just to keep it fresh on their mind. 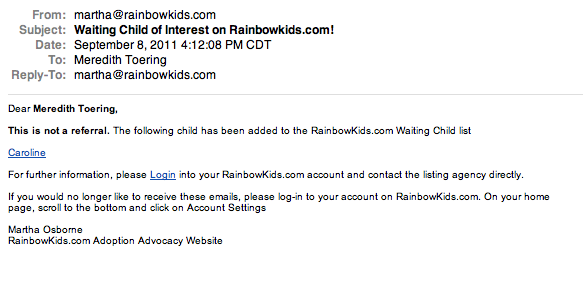 I even had an account on RainbowKids, an online advocacy site for special needs children. This is dangerous, my friends. Very dangerous. Especially when you still have 10+ years until you can adopt for yourself... :) After five (FIVE) years of keeping this up, I was pretty convinced it would never really happen. 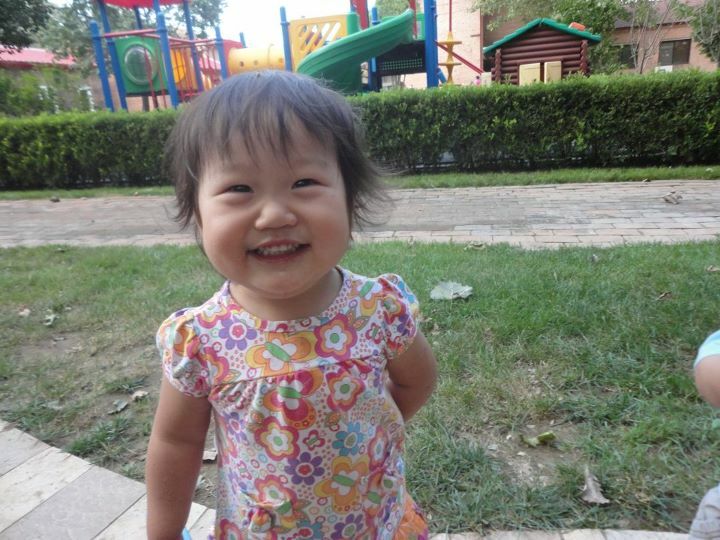 God was really calling me to China, and opened doors all over the place for me to spend my summer at New Day Foster Home. My parents were, of course, thrilled for me and they knew that this would be a life-changing summer for me. However...my mom did have one “prayer request” that she would say as a joke- “Pray that Meredith doesn't come home with a baby for us to adopt!! We are done!”. 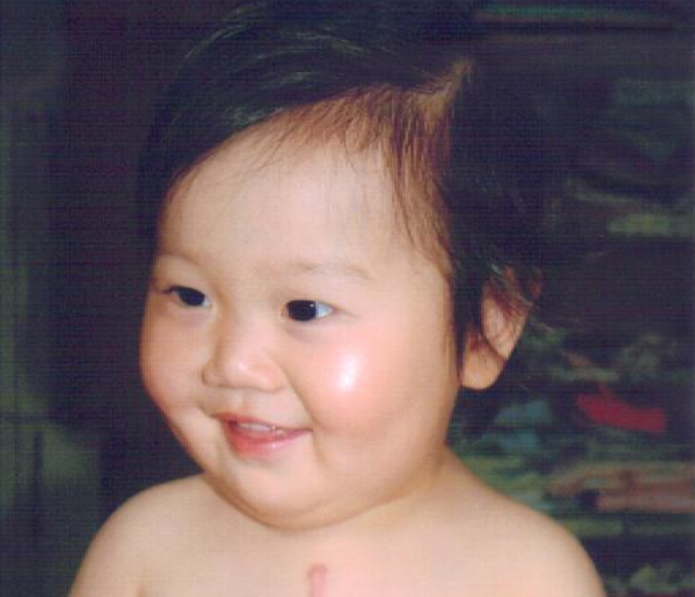 On September 7, 2011, my wonderful friend Faith sent me a precious picture of little Cai Wei. It was the most precious picture I had EVER seen of her...and I, obviously, forwarded it to my parents. The weekend before happened to be Labor Day, so I was home and spent the weekend showing them every.single.video I had taken of Brooke all summer, because I missed my girl so much. That's a lot of videos, ya'll.) 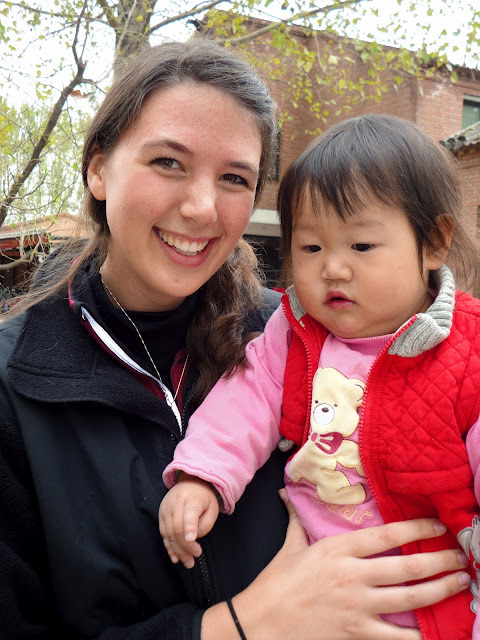 They knew good and well who little Cai Wei was, and I knew they loved her and prayed for her. However, I was SHOCKED by the response I got back from my dad literally 10 minutes after sending the picture. WHAT. Well. Being my ever logical self, I immediately called my parents (dad) and informed them that Brooke probably wouldn't be paper ready for awhile...and that it's basically “impossible to 'find' a file”. Dad responded with “Well, we'll call the adoption agency and talk about starting a homestudy. Just in case we do ever start another adoption”. Wow. The next day, my sweet friend Allie had asked me to go get coffee with her. She asked to hear about China- “real” China. Not the cliché “Oh, it was so great and I had such a wonderful time!” that I was used to quickly sharing...she sat me down and just said “TALK”. It was wonderful. I told her all about China- the good, the bad, the ugly. I told her about the struggles I had coming back to America and the re-adjustment. And finally, I told her about Brooke. How I missed her, how HARD it was to win her over..but how special our relationship was once she finally trusted me. And then Allie asked to see a picture. More than happy to oblige, I pulled out my computer, and as iPhoto was opening, my email dinged with 1 unread mail message. Just one. I opened it real quick just to see if it was anything important...and it was an email from RainbowKids, an online advocacy site for thousands of children available for adoption. Ya'll, I had got to the point where I would literally just delete those emails without even opening them. It would kill me to see those sweet faces and not be able to bring them home! It had been months since I had opened one of those emails. For some reason, I felt a gentle nudging to open that email- an announcement that a little girl named “Caroline” had been added to the list. As I entered my username and password into the the RK site, waiting for my iPhoto to load, I was in the middle of telling Allie “...This is Brooke...isn't she such a chubby little diva?!? !”- when all of a sudden, the page loaded. I swear all the blood drained from my brain because I immediately developed a stutter and was incoherently screaming/crying/blubbering to Allie. It. Was. Brooke. My Brooke. I knew it immediately. The picture I saw of Brooke on the RK site- absolutely beautiful. Poor Allie. What a friend. It took a good 5 minutes for me to make coherent sense of what exactly was going on....and our calm, collected coffee date immediately turned into a mad dash of rushed explanations and tears. I was on the phone with my dad about .05 seconds later, and China about 2 minutes after that. I wish someone could have recorded that call. I was a basket case. I don't even think I gave him a word in edge-wise. “It's Brooke. You need to call. Adoption agency. Adopt her. Phone number. Keep calling!!! IT'S BROOKE.” I don't even think I explained how or where I had seen her file. Poor Allie (and the rest of the Samford food court) just sat there and stared as I was having a nervous breakdown over the phone. Once again...poor Allie. The girl was a God-send. I was a basket case, but she, while still utterly confused as to what in the WORLD was wrong with me, started praying- prayed that we would be able to get in contact with the agency that had Brooke's file. That we would be first to be able to review it. That I would trust God in His perfect plan no matter what the outcome. Whew. Needless to say...I was on pins and needles. Mom and Dad assured me that they were doing all they could to contact her agency, and would let me know the moment they heard something. Oh man. MIRACULOUSLY, at 11 PM, our agency had someone there working late who got our (multiple) phone messages and (multiple) emails and responded to us. She was available. Did we want to review her file. Did we have some special connection to this child, because usually families don't go this crazy over one specific child?….uhhhh ya think. God's fingerprints are ALL over this. After turning in some necessary forms, we were sent Brooke's file at 8 AM the next morning. My parents told me to “DO NOT TELL ANYONE” (yeah right) because we hadn't had her file reviewed yet. And boy oh boy, was there some reviewing that was done. Finally...after 3 of the most excruciatingly nerve-wracking weeks of my life...my parents called me on skype. They knew that God had put this precious girl in our lives to join our family, and we had received Pre-Approval for little Cai Wei- our precious Brooke. One of the precious pictures we were sent in Brooke's file. God's fingerprints were so clearly over the entire story. From putting me in her orphanage for the summer, becoming her one-on-one teacher, praying specifically for her and her future family, sending her file to my email, causing me to open her file on RainbowKids among the thousands of other equally precious children on the list, being able to get in touch with her agency despite the late hour. Oh. My. Goodness. His confirmation came over and over, again and again. My mom will have to write a Part 4 explaining the confirmation that she felt that Brooke was indeed her daughter. Brooke Cai Wei, we can't wait to bring you home!! Oh, Meredith, what a beautiful story! Isn't our God AWESOME?! We put Jeremiah 29:11 on Levi,s announcement and framed it in his room. I believe this with all my heart for our 2 sweet heart babies. So totally and completely God. MERCY!!!!! I just love this! It makes me sing praises to God! Only HE could write this story! 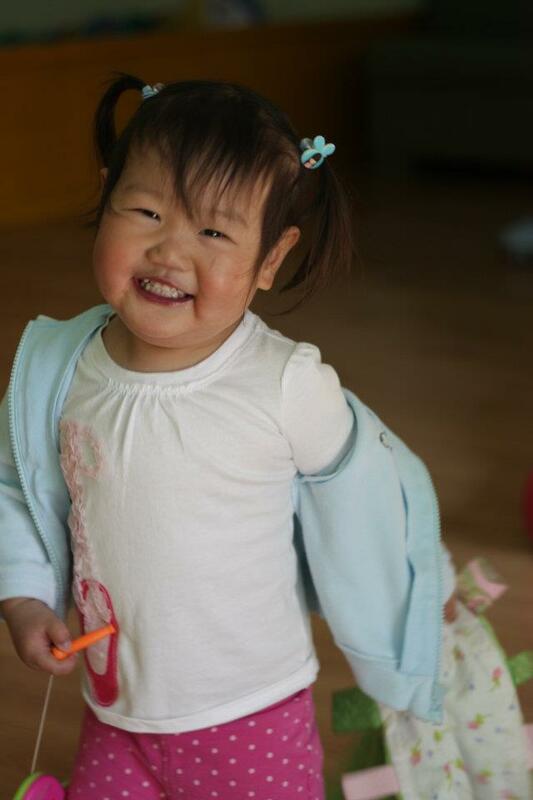 Brooke Cai Wei...you are one blessed little girlie...and you are gonna be SUCH A BLESSING to your forever family! 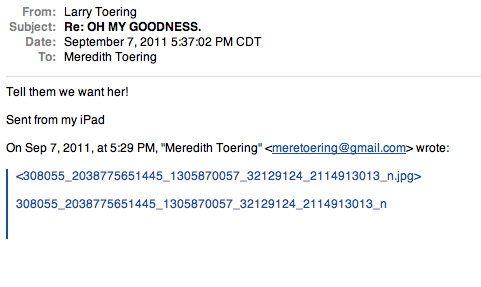 Oh Meredith...this made me cry (happy tears, of course!). Isn't God just amazing? Love your story! We are waiting now for our LOA's on 2 precious little boys in China waiting for us to come get them! They are not siblings, don't even know each other---but soon will! Tian will be 3 in September and Zach just turned 3. They both have medical issues but we know that God has a plan for our lives...and theirs. Thanks for sharing your story!!! I always enjoyed receiving updates from Hope's Heart Orphan Foundation on little Brooke. 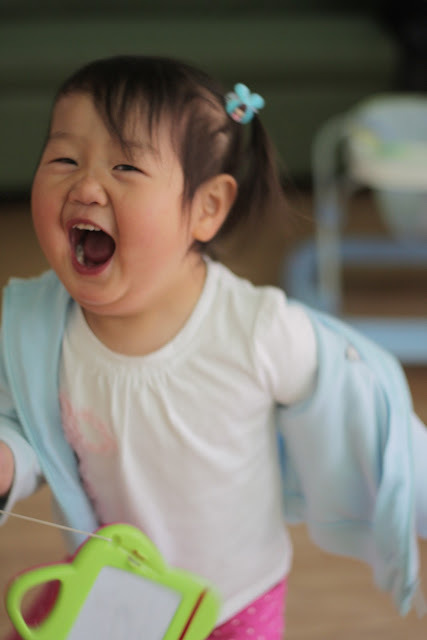 She is one of the children that we have sponsored through Hope's Heart. I remember receiving a letter letting us know that Brooke had received her forever home and that we would be assigned a new child. That is always such great news! I was excited to receive a link to your blog from Hope's Heart and read about your journey to Brooke. So happy that her surgery is over and she is healing and gaining strength and energy. Blessings to your wonderful family. Lisa, THANK YOU THANK YOU THANK YOU for sponsoring our sweet girl!!! I'm so glad you found our blog, and are able to keep up with little Brooke!!! We can't thank you enough for your prayers and support for our girl before we even knew she was ours! Hugs to your family!!!! We are READY for the Banquet! !